TECHTOO 16 foot SuperSpeed USB 3.0 Male A to Micro B Tether Cable is the most stable solution available for the fastest and most reliable data transfers. With build-in Signal booster chipset, TECHTOO SuperSpeed USB 3.0 Tether Cables incorporate all of the latest technology ensuring consistent and reliable conductivity. Designed to the highest USB specifications to filter out signal noise and reduce transmission errors, all cables are fully shielded to protect against external signal interference. 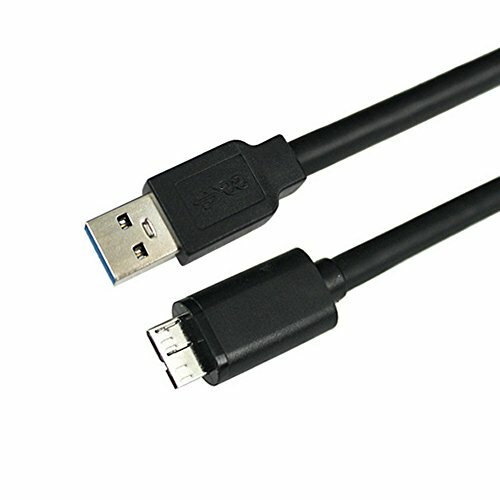 The 16 foot USB 3.0 Tether cable connects to the camera using the micro B connector to ensure delivery of excellent performance. Replacement for Nikon D800 D800E D810 UC-E14 USB Cable; Canon 5Ds, 5Ds R, 5D Mark IV & 7D Mark II ; Pentax 645Z, K-3, K-3 II, etc.